ГлавнаяМорское ЧтивоShip NavigationVarious Aspects of Ship HandlingWhy is BNWAS Important on Modern Ships? The shipping industry has incurred mammoth losses in past few years due to incidences of collision and grounding. The primary reasons of such unfortunate events have been termed as sheer negligence and failure to comply with effective bridge watch keeping rules. The new resolution passed by IMO focuses on the importance of using BNWAS – Bridge Navigational Watch and Alarm system to prevent accidents as a result of watch keeping flaws. Chief Officer Abhishek Bhanawat explains the importance of BNWAS by describing two unfortunate accidents which were caused as a result of sheer negligence on the part of OOW tocarry out their duties properly. While transiting a river while approaching the Port of Balikpapan, Indonesia, an Italian flagged vessel was grounded on a reef. The reason for this incident, upon investigation, was revealed sheer negligence on the part of Officer on Watch (OOW). The ship’s passage plan indicated the course as a critical one and the course line was laid so as to clear the reef by 5 cables. The OOW was distracted by the phone signal and did not check the position of the vessel frequently. He even altered the course slightly to get a better signal strength, which brought him closure to the reef. Eventually, the vessel was grounded, amounting to salvage and heavy fine to the owners. Luckily none of the underwater compartments got damaged for the vessel was carrying around 30,000 MT of fuel oil cargo. The root cause found was failure to follow the passage plan and overlooking of the guidelines for effective watch keeping. In another incident, which occurred in Singapore Strait few years back, a container vessel collided with an oil tanker. The bow of the container struck the mid ship compartment of the VLCC. There was loss of life, damage to property and environmental pollution as well. Investigations revealed that the OOW on board the container vessel was working on the bridge computer while the vessel was transiting Singapore Strait. By the time he saw the VLCC crossing from Port to Starboard they were in a close quarter situation. Avoiding action taken by the OOW was not sufficient and timely to avoid the catastrophe. Underlying cause again was found to be lack of effective watch keeping. Due to alarming increase of activities similar to the above mentioned ones, the International Maritime Organization (IMO) has come up with a resolution A.694(17) associated with IEC 60945.This resolution focuses on BNWAS – Bridge Navigational Watch alarm system. 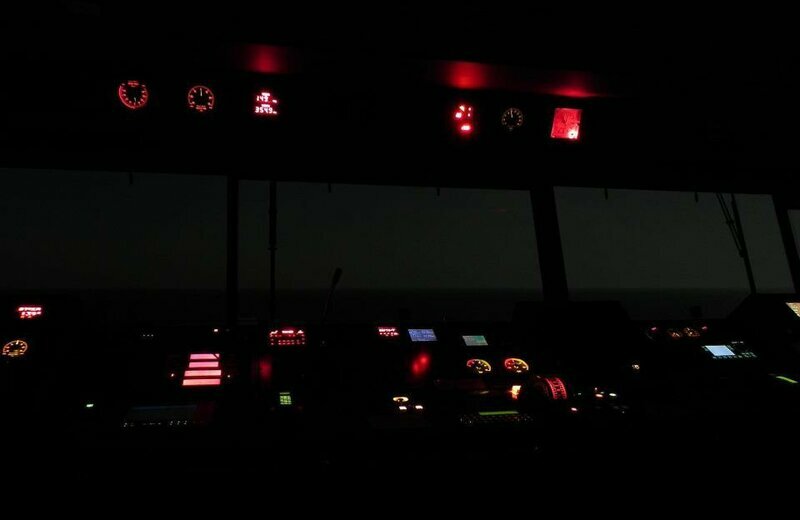 With basic principle of monitoring bridge activity and disability of duty officer, the system can consequentially function as a preventer of marine accidents. 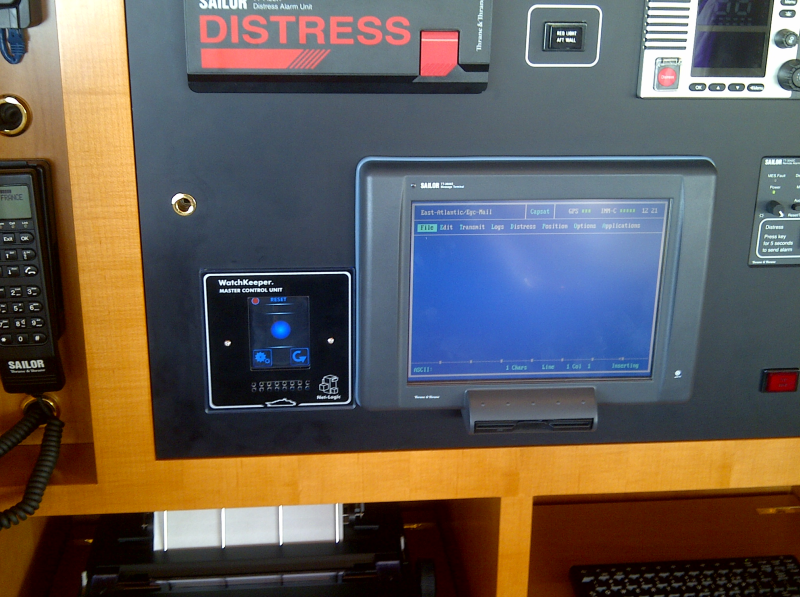 With the help of a series of alarms and indicators this system is able to determine if a bridge watch keeping officer is disable to execute his watch keeping duties and subsequently alert Master or another qualified OOW. Furthermore it can be an aid to call assistance if required by the OOW. A mandatory requirement as per Ch. V of The International Convention for Safety of Life at Sea (SOLAS), BNWAS or the Dead man alarm system for bridge , is mandatory for all existing cargo ships >3000GRT and not later than the first survey after 1ST July 2012. The operational requirements for a BNWAS emphasize on alerting the ship’s master and other qualified watch keeping officers in an event of disability or negligence of OOW. To elaborate further BNWAS has a three stage alarm system. Once operational, the BNWAS within 12 minutes will initiate a visual indication on the bridge. If not reset, the BNWAS will sound a 1st stage audible alarm, in the bridge, 15 seconds after the visual indication was initialized. If the alarm is still not acknowledged within 15 seconds of the first stage alarm, the BNWAS will sound a second stage remote audible alarm in Master’s cabin or other qualified OOW’s location. If the second stage alarm is not acknowledged within 90 seconds, it will sound a third stage alarm at the location of further crew members who are capable of taking action. If after any stage the alarm is reset, it will again activate after 12 minutes of last indication. Such great features make BNWAS inevitable part of bridge watch keeping and prove to be a great aid in mitigating the risks to ship owners.